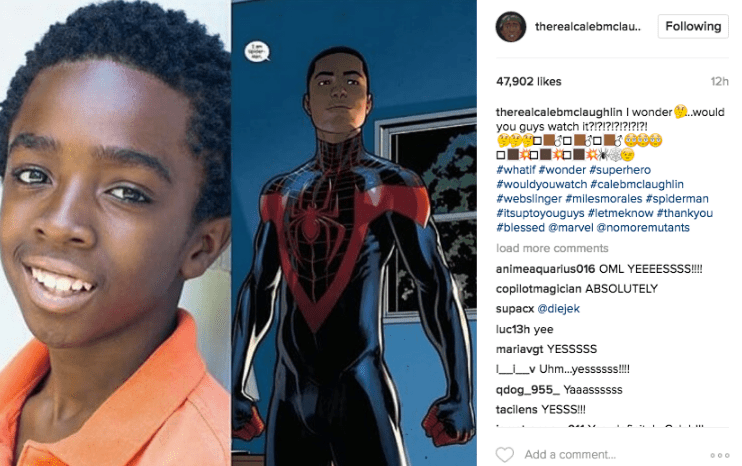 Could Stranger Things Star Caleb McLaughlin Play Miles Morales in the MCU? On Wednesday March 2nd Stranger Things star Caleb McLaughlin had some comic book fans crawling up walls with a post he made on his Instagram account. He posted the following picture asking his followers, “I Wonder would you guys watch it?” The short answer is yes I most certainly would. If you have a Netflix account chances are you’ve either seen or at least heard of the hit Netflix original series Stranger Things. In it McLaughlin plays Lucas, one of the show’s four young main protagonists. He was also recently featured in the 3 part BET miniseries The New Edition Story. In both of these roles McLaughlin has shown excellent range for such a young actor. Currently Caleb is only 15, a mere 5 years younger than the MCU’s current Spider-Man Tom Holland. This gap makes Caleb the perfect age to play Miles should the MCU choose to introduce the character on the big screen. 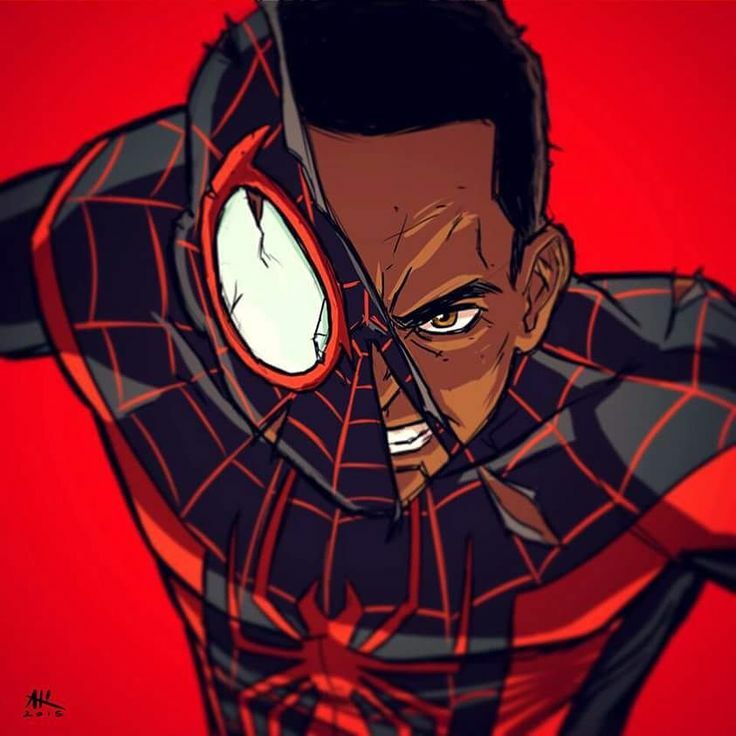 While this post doesn’t exactly mean that Caleb’s got the part locked one thing’s for sure, he is definitely on the radar for many Miles Morales fans out there myself included. On a semi related note if fan speculation turns out to be true and Donald Glover’s role in Spider-Man Homecoming turns out to be the Aaron Davis version of The Prowler it could easily plant the seeds for Miles’ introduction into the MCU. It would be a nice ironic twist for fans if the man who was a partial inspiration for the beloved character ended up playing a part in helping bring him to the big screen. 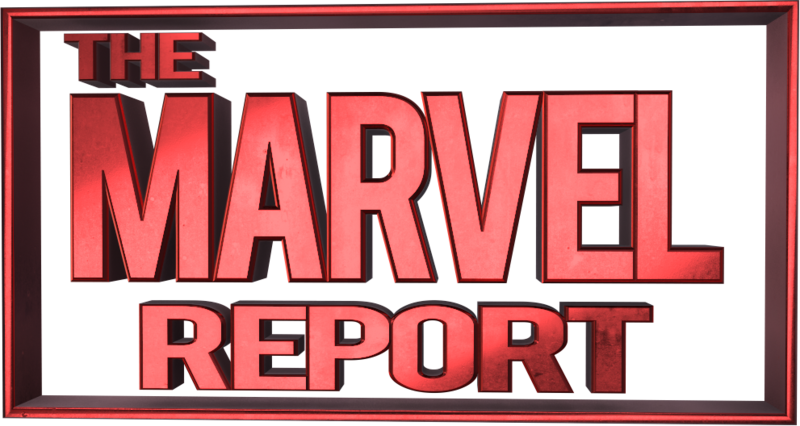 I’ll leave it to you my fellow true believers and web warriors, would you want Caleb McLaughlin to play Miles Morales in the MCU? Let us know.